Humor is not so frequently associated with the movies coming from mainland China. As Geng Jun’s “Free and Easy” has proven, though, when they do, great things happen. Jiang Jiachen in his debut continues this “tactic”, through a social satire that is comprised of only sixty-one shots. 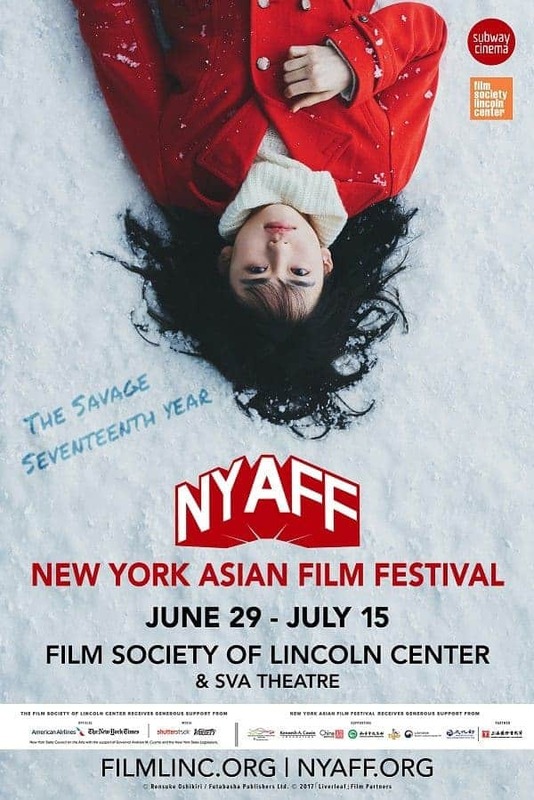 The film is based on characters from friends of Jiang Jiachen’s hometown, Shenyang, and has won the inaugural Early Bird New Directors Film Fund of the Hong Kong International Film Festival. The film starts with Guangsheng, a student who is finishing his master, coming to meet his father, who instead of just walking a dog Guangsheng’s professor has left with him, is fighting with an old woman who accuses him of letting the dog bite her grandson. The dog has disappeared, and father and son end up in the police precinct having to compensate the woman. The search for the dog (his name is Lucky btw) leads the two to more trouble, instigated by the short-tempered father, with Guangsheng’s agony growing as time passes, since the professor has actually promised to help him secure a professor’s job in the university, and he does not want to get on his wrong side in any way. Eventually the issue is solved, but then the real trouble for Guangsheng begins. Jiang Jiachen directs a story of episodic nature, all of which seem to revolve around one thing: money. His father’s troubles revolve around and are settled with money; his professional prospects revolve around money; the past and the future of his and his father’s are dictated by their (harsh) financial situation. Even the help he receives when he puts an ad for the missing dog ends up with him having to pay. Through this concept, Jiang Jiachen makes a rather harsh critique about the greed that characterizes the contemporary Chinese society, where money seem to be the only credential one needs in order to move forward, while those who do not have it become pariahs. A second comment points at the corrupt methods in the education sector, which moving up actually has to do with power some individuals hold over others. The methods of Guangsheng’s teacher are already shady enough, but the finale definitely makes it even worse. Another aspect of the film revolves around the relationship between father and son, which actually fuels both the comedic and the dramatic element in the film. The way the two interact, with Guangsheng repeatedly having to bail his father out, resorts in a number of extremely funny situations, although I have to admit my opinion about these incidents is that it wasn’t actually his fault.. A scene where the son is being harshly truthful to his father, and the one where his mother sheds some truth about his past are quite dramatic, as they are shocking in terms of narrative. Both Ding Xinhe as Guangshend and Yu Hai as his dad are great in their parts, highlighting the fact that they have to face situations that surpass them repeatedly, which, unavoidably, result in them “losing.”. In that fashion, both present the poor devils with gusto, with their chemistry on screen being one of the highlights of the movie. I also have to note that Ding Xinhe was very convincing in the scene where he is completely drunk. Jiang Jianbing’s cinematography comprises mostly of lengthy one-shots (as we mentioned in the prologue), a tactic that fits the film’s aesthetics quite nicely, giving it a slight, documentary-like essence. 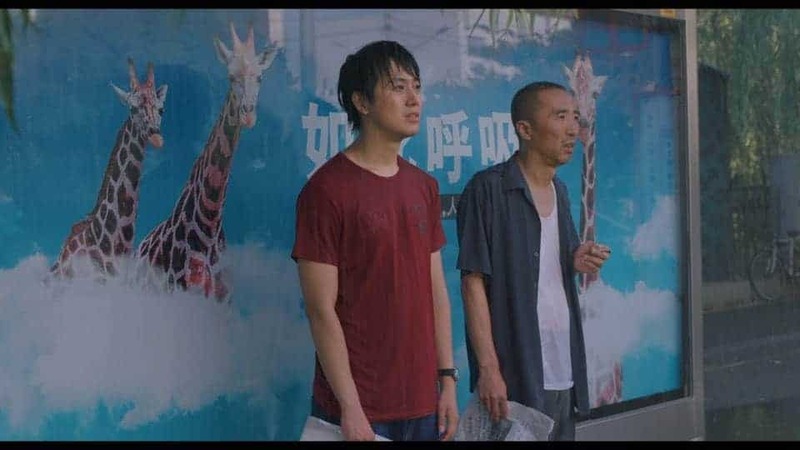 Jiang Jiachen’s own editing retains a nice pace throughout the movie, with him frequently using his cuts to produce laughter, as in the case where one characters states something, only for the scene to change immediately into a situation where the exact opposite occurs. “Looking for Lucky” is a great debut, with Jiang Jiachen having a really difficult task in his hands, which he completed with flying colors.